Mixed reality can give you the feeling that you've uncovered a hidden world layered into the physical one you already know. This can happen in so many ways, from a trading card that births a hologram or a first-person shooter with robots blasting through your walls. Xperiel—a California-based augmented and mixed reality company—wants to create a platform to make that a whole lot easier for developers. Their plans run far deeper than holographic gimmicks and immersive gaming. They want the physical world to mimic the possibilities of the web itself. We are making the real world digitally interactive. It's analogous to the World Wide Web and what it did for the internet. We are bringing the real world to life, so consumers can interact and use their device as if it were a mouse cursor on the world. Brothers Alex and Philipp Hertel founded the company to create this "Real World Web" (RWW). Of course, that's a task far too large for one company. The RWW needs to be built by several engineers, which is why Xperiel is a platform and toolset for making these experiences easier to create and not the experiences themselves. 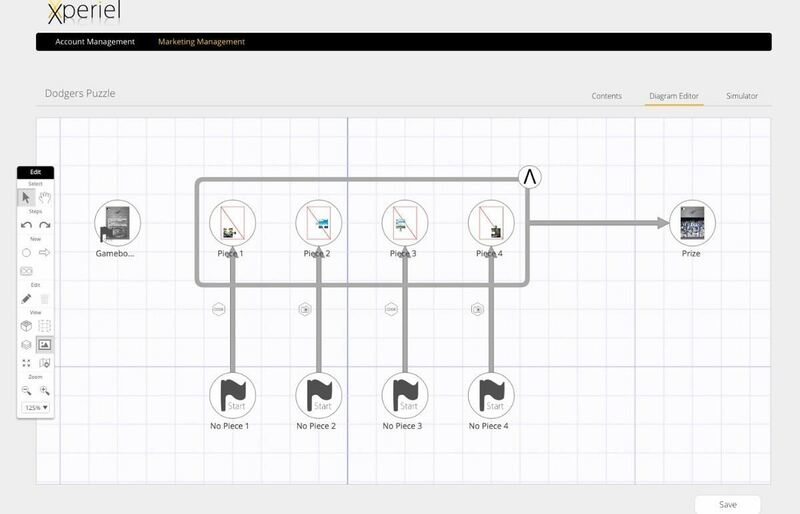 Creating an experience hardly requires technical expertise, as it works through a series of triggers and actions that can be visually represented on a grid (as depicted in the screenshot below). The money in a platform like this doesn't necessarily come from entertainment, but mostly from advertising. That may sound like a nightmare, but Snapchat has proven it's actually a better way to advertise through its sponsored filters and wants to bring this into the real world as well. Magic Leap agrees and already has one related app in the works. Xperiel doesn't need to explain why this market is profitable. The evidence is already out there, but making these experiences isn't easy. They hope to change that. If they do, we might be in for several new immersive ads and branded experiences—but that might actually be a good thing.